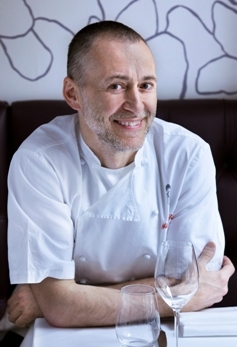 Michelin-starred chef Michel Roux Jr is renowned worldwide for his classical French fine dining, something he continues to win numerous awards for. In London he runs Le Gavroche, Roux at the Landau at the Langham Hotel , Roux at Parliament Square and recently opened Roux at the Pembury (named after his hometown in Kent.) This stylish new bar is located in the heart of Westminster and just across the road from the Houses of Parliament and Westminster Abbey. He also regularly appears on our screens as a judge on BBC's MasterChef: the Professionals and presented Michel Roux's Service and both series of Great British Food Revival (championing bread and pears). When he is not in the kitchen he is building up an appetite as a keen marathon runner. He has run the London marathon an impressive 17 times to raise funds for the children's charity Visually Impaired Children Taking Action (VICTA). Michel talks to The Luxury Travel Bible to reveal what is on his menu and why his heart belongs to French food (would we expect anything else?). 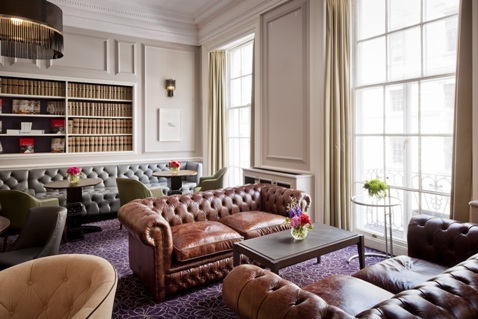 Tell us more about your newly opened bar, Roux at the Pembury at Roux at Parliament Square. The bar is comfy and warm in ambience, totally un-pretentious, a great place to come for a light lunch with a glass of wine, a pre-dinner cocktail or a post dinner nightcap. For me luxury means being able to relax totally and read a book. I have so little time to myself that being left alone with a book is more luxurious than any material or physical element. In essence time is my luxury. What do you consider to be essential to create a special dining experience. The perfect company is essential to a special and memorable dining experience. Which country (in your opinion) has the best cuisine? What was your most memorable meal ever or is that an impossible question to answer? I have had many memorable meals, one in particular stands out. For my 21st birthday my parents took me out to lunch at Paul Bocuse in Lyon. A fabulous lunch which ended on the bank of the river Saône snoozing in the afternoon sun and drifting on a cloud of food heaven. Food creates memories. Is there a dish that instantly evokes a favourite travel experience or destination? Cep mushrooms always remind me of my wife's village in the Cevennes, the mushrooms grown there are particularly good and fragrant. Her family always cook them for me when I visit as they know I love them, simply fried with a little parsley and garlic, a feast. When travelling, is there a 'comfort food' dish which reminds you of home? I love good bread and cheese, when traveling these two basic food items are the ones I miss most. As much as I love Asia they just don't do bread and cheese like the French. Which three foods would you take to a desert island? Amadei chocolate 68%, a vacherin cheese, white peaches. Which item(s) of food sum up luxury for you? Black Perigord truffles, some years they are plentiful others not, and man can do nothing to change that, nature prevails. London to live, Paris to dine, New York to party! Favourite luxury hotels (apart from The Langham of course)? Le Plaza Athénée in Paris. Simply unbridled luxury. As well as your own, what are your favourite restaurants? Nobu and Zuma in London. Running shoes (I am always training for a marathon), my I phone, my wife. My next voyage will be to Inverlochy castle for a food and wine festival along with a bit of free time to open that book.